ARLINGTON, Texas — In 1980 Six Flags Over Texas was winding down its second decade of operation. The park had become a phenomenal success for the tourism of the Dallas/Ft. Worth area and was a catalyst for what would become one of the largest theme park chains in the world. When Six Flags Over Texas opened for the 1979 season, capital investment was light that year, following on the heels of the hugely popular addition of Shock Wave (Schwarzkopf double loop coaster) the year before. For its 20th season, Six Flags was primed for the next big thing. As fate would have it, the park would be thrown a curve ball. The 1979 souvenir map noted something coming in 1980 in the Mexico section. 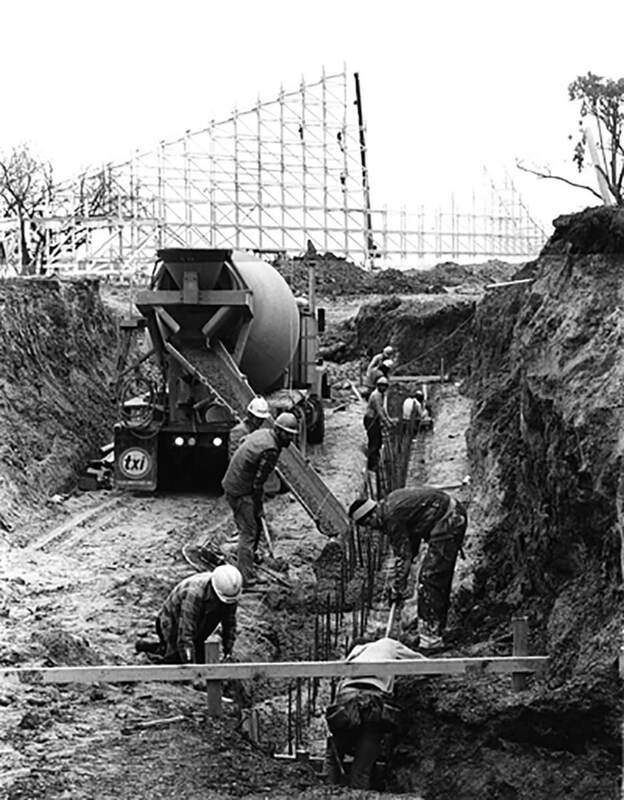 Six Flags had heavily invested a commitment into the R&D for Arrow to build the first-ever bobsled coaster since the construction of Flying Turns coasters concluded in 1941. Unfortunately, Arrow was not able to deliver the product as testing had not proven successful. Six Flags management was left standing without the goods with a window of time for adding something new and flashy vanishing quickly. With the retirement of the park’s Big Bend steel roller coaster in the fall of 1979, a new high-profile attraction was vital. Enter William L. (Bill) Cobb, Dallas resident and renowned engineer and coaster designer. With the help of Don Rosser and the team from Roller Coaster Corporation of America (RCCA), Cobb accepted the challenge of delivering a new wooden coaster with the remaining budget of close to $2 million. Errol McKoy, the park’s general manager at the time, had a fondness for Lake Winnepesaukah’s Cannonball. The size and scope of the new ride would have similarities to Lake Winnie’s woodie. Having spent a short span of his time in New York, McKoy liked the allure of Coney Island’s icons. His vision of eventually developing the waterfront area of Six Flags into a boardwalk section would take the first step. The new wooden coaster would actually be built outside of the park’s boundaries along the edge of the lake. Future expansion — which never materialized — was to continue adding on to the lakeside ambiance. As it was, an entrance to the coaster was a newly-constructed tunnel underneath the park’s entrance drive. Even today, driving right between two large attractions upon entering the park is an intriguing thrill. The construction process took place right at the front entrance ticket plaza. This covered area was boarded up and wooden bents were assembled not far from the ride site. 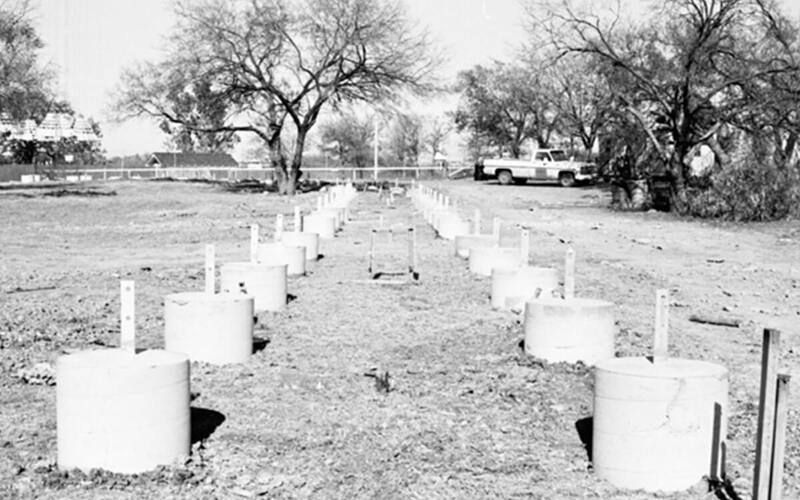 In the interest of time, a vat pool of white paint was built in the parking lot and the wooden structure pieces where physically dipped into the white paint and then stacked to dry before moving to the ride site. On March 1, 1980, opening day was met with very cold temperatures. Despite the chill, the Kilgore College Rangerettes were on hand, along with the media, to send out the first trains, opening the ride to the public. Its original colors were green track and yellow handrails with two PTC trains painted gray and yellow. McKoy, by this time, had moved on to the next stage of his career at the corporate offices, and Judge Roy Scream was opened with Ray Williams at the helm as general manager. As the years passed, the color scheme of the ride shifted to red handrails and blue track, with the two trains mimicking those colors. Chaser lights would trace the layout’s undulating outline making for magnificent reflections on nights that the lake’s waters were a calm, mirror-like surface. In 1995 those lights were removed in favor of bright floodlights that brought the white structure to a vivid glow making for even more stunning reflections. 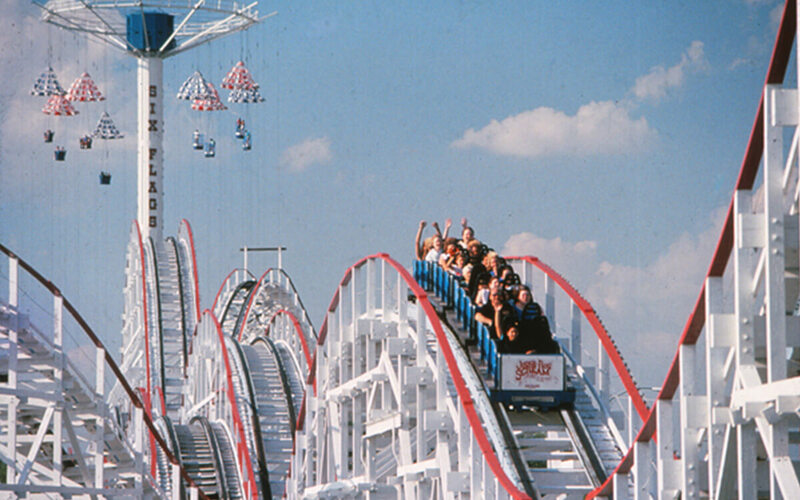 When AstroWorld opted to change out its Texas Cyclone trains for new ones from Morgan, Six Flags received one of those trains and created a third train, which would be painted white, now giving the three colors of the Texas flag an opportunity to ride the rails with one train continuously in rehab. With the first drop of 65 feet, the Judge would be in line with family thrillers of its time. Ironically, a decade later, its sibling would set a world record for wooden coasters when Texas Giant opened in 1990 and pushed the boundaries of roller coaster statistics. In 1991, members of American Coaster Enthusiasts dedicated a plaque in tribute to coaster designer Bill Cobb. It can still be seen by riders from the queue. Cobb’s love of what he called “hoop de doos” can be found in the small speed bumps on the return leg that give riders those lovable head-ducking moments. In 1993, the park announced a spring promotion of running Judge Roy Scream with trains facing backward. While the initial intent was to continue such operation only through May, the popular draw was continued throughout the entire season. 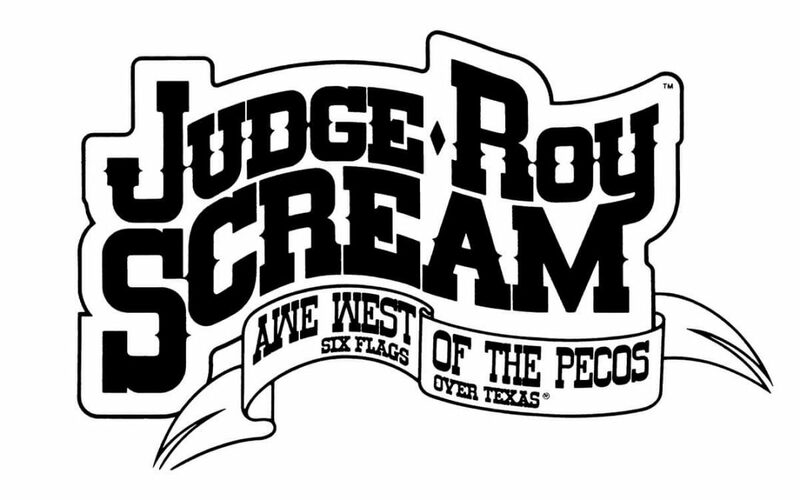 It would not be until 2014 that such a marketing twist would be repeated at Six Flags Over Texas. Last season, Batman The Ride ran backward for the second half of the year. Today, Judge Roy Scream remains a rarity in the Six Flags system as it still utilizes skid brakes to bring the ride to a stop. Originally, the train was operated with three levers which controlled the zones from the long brake shed up into the station. The operator was signaled when one train was making the horseshoe turn in the out-and-back layout to dispatch the next trainload of riders. Original capacity for the ride was reported to be 1,200 riders per hour. For its 35th birthday, the park’s lone woodie is receiving some love. Director of Construction and Maintenance Mike Sossamon reports that about one-sixth of the total track length has been replaced from the ledgers up. “Due to the size and scope of the project, we exceeded our normal annual repair budget by approximately forty percent,” he says. The work started immediately after the holiday season ended and continued through mid-February. The off-season TLC is just the right gift for this family favorite. This article first appeared in the March 2015, issue of Amusement Today, and is reprinted here courtesy of Amusement Today. For subscription information, visit AmusementToday.com.